School children are usually intertwined with games. Every child knows that play is nobler than work. They know too that the worth or merit of a game is not inherent in the game itself but rather in the value that it tends to foster in them. Our school takes the concept of “all roundedness” with much zeal since we understand that all children are gifted differently. 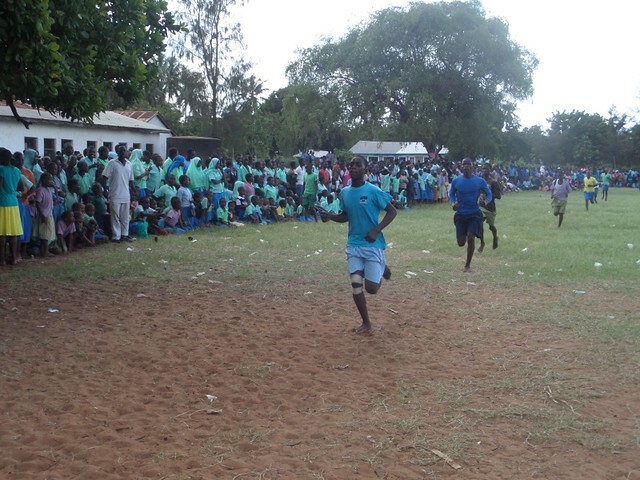 For this reason we took part in the athletics competitions this term. 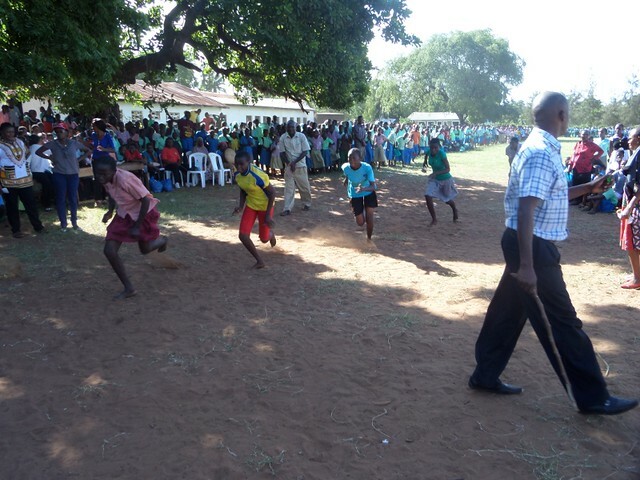 These are government controlled extra curricular activities that suffice to say tend to have a bias over the private schools.However, as they say “Zeal without knowledge is a runway horse” , we have always celebrated the learners achievement at any level and ushered them back to class whenever they dropped out of the competitions. The humiliation of defeat and the pride of victory are in themselves sufficient stakes because they inhere in the worth of the participants and define their ego & self esteem. Taking part in the athletics meets worked well to instil the core values of competitiveness, team spirit and boosted the morale and confidence of the learners involved. 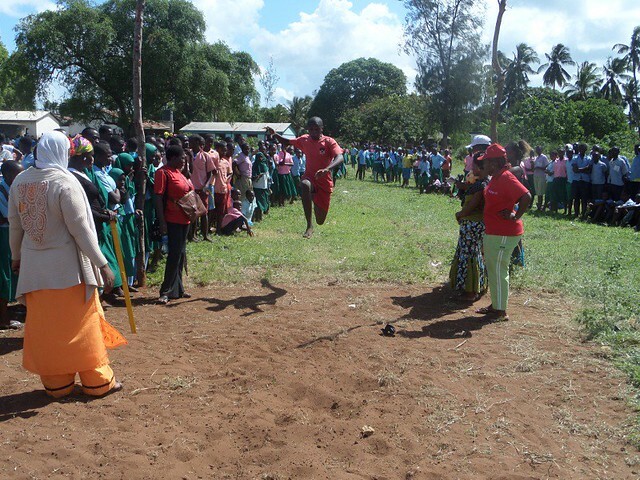 The maiden track and field events were organised at Barani school, where a team of 45 learners represented the school. The girls excelled and the next team of 10 learners to Vipingo for the zonal competitions was composed of more girls than boys. 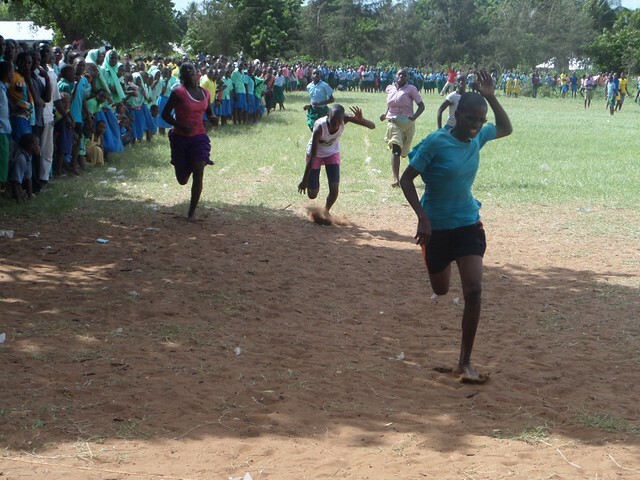 Normally, the higher levels of the competitions become tougher and most of our kids couldn’t match the big bodied public school children, nevertheless, we had a std six girl, Anita Thomas, representing the school in the sub-county athletics meet in Gandini-Chonyi. The Games Department continues to imbue amongst our learners a great sense of purpose, focus and optimism geared towards lifting our standards. We will also not tire, falter or fail to continually appreciate the solid support you have cherished to offer us. We are greatly indebted to you. We also thank the headteacher, Mr. Sylvester, for his quest to lift the standards of the school and his tireless efforts to steer and guide the department to success. 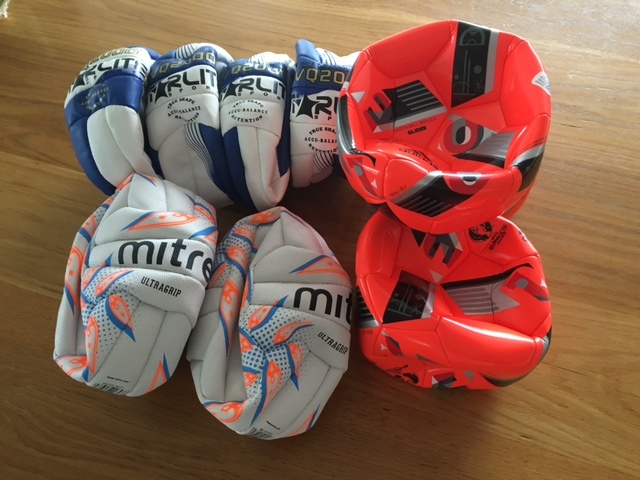 Thankfully we have just been told that a batch of new volleyballs, footballs and netballs are arriving from the UK for the start of our 3rd Term in September, we are very grateful for this donation from Guardian Angels Parish in Bury.God Bless You all. A lovely update on keeping the children healthy of mind and body. I remember when I was over there how the children looked forward to and thoroughly enjoyed sports. It’s great to see it is an important part of their education. Winning indeed does give a sense of worth and pride but taking part and not winning is also a vital life lesson. Mary have you ever thought of forming a Special Olympics club for those students who have a learning disability. ? There are great opportunities for volunteers within the community who could assist in implementing this programme whilst giving those who are disadvantaged from birth the opportunity to develop new skills and to show case the’s skills in a competative environment. .